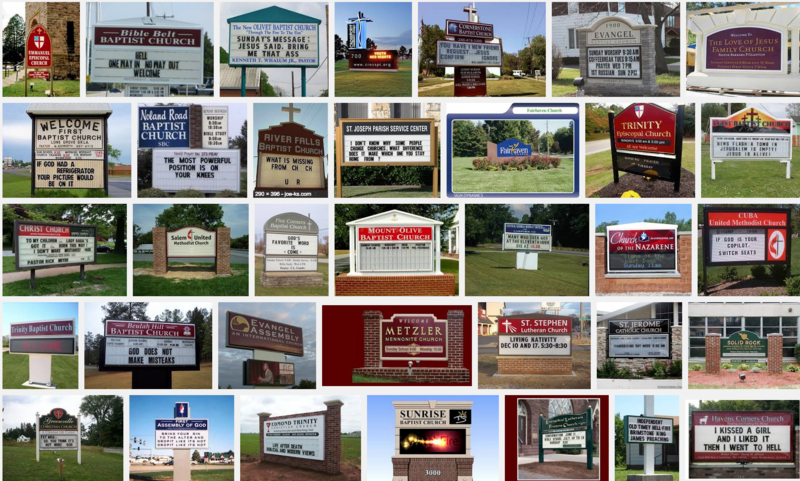 How Many Denominations are Too Many? I am rushing to get packed — my wife and I leave next Monday for Portugal (Fatima), Spain (Avila) and France (Lourdes) with a group of 65 excited pilgrims. You will be able to join us by video for a Virtual Pilgrimage right here on this blog. Each night, Lord willing, I will upload video clips from the day. In the meantime, this morning I post my discussion on the number of denominations in the world today and how sola Scriptura has been a huge factor in causing, or at least, facilitating this scandalous situation. I’ve been accused of “spinning,” the issue of denominationalism and schisms and factions. But there ARE such things and too many as you will see. Some don’t want to admit that sola Scriptura is an unbiblical and destructive doctrine. Some ignore the fact that Jesus wants Christians to be one, with a visible unity so the world can see it and proclaim, “Ah, see the Christians? Their unity demonstrates visibly that the Father has certainly sent the Son” (John 17:22-23). The opposite then must also be true. If there are divisions and schisms the world has the right to conclude that the Father did not send the Son. 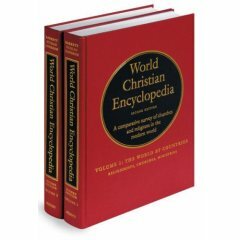 The great number of denominations and factions has done great damage to the reputation and credibility of Christianity. Whether it is 33,000 or whatever large number, it is grossly wrong. Christians ought to fix it by rallying around the shepherd Jesus appointed on the Sea of Galilee after his resurrection (at the exact point where we will visit on the shore this May, September, November and December) (Jn 21:15-17; Matt 16:18-19). “Do you love Me? Shepherd My sheep, tend My lambs.” If there is a command that the Shepherd lead, there is an implicit command for the sheep to follow and obey. How many denominations equals more than one. Jesus wants ONE flock (John 10:16). How many does it take to cause Jesus pain? Sheep scatter easily, I know because I have rented flocks of sheep twice in Bethlehem. 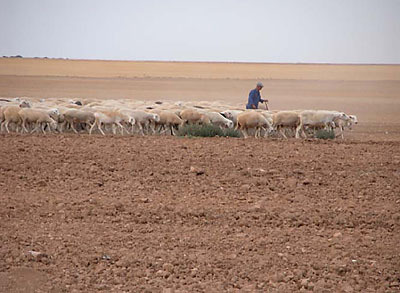 And because sheep scatter easily Jesus appointed shepherds and, through apostolic succession they are still pastoring the sheep today with a flock that is larger than all other Christian schisms, sects and factions combined. It is not by chance nor accident. It is by design. But sheep are still quite willing at times to wander away and gather in little groups outside the fold — to their own detriment. And it is no surprise why many wandering sheep have come back to the fold and many others like me — born outside the true sheepfold of the Catholic Church — have entered the fold with great joy once we discovered it. Now, one question that comes up. Aren’t there 242 “Catholic denominations” mentioned in the Oxford Dictionary you quote? I am not sure of the actual number, but there are a good number of Catholic schisms that have broke with Rome and set up their own “popes” and continue to call themselves Catholics. So, yes, you can say there are a lot of Catholic schisms, or if you prefer, denominations, along with Orthodox, Copts and others. It is a shame on all counts. There are also many rites loyal to Rome which may be considered different “denominations” even though in their case it would be questionable as to whether it would be correct to label them as such. There are groups like the Maronites, Melkites, Greek Catholics, etc. who have separate names but are all Catholic and in union with Rome. I write this blog and article to encourage the faithful and to defend the faith of the “one holy, Catholic and apostolic Church” and those who love the faith. 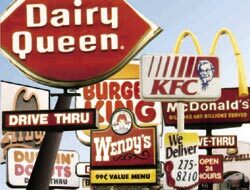 My paper begins: “The other day I drove through town and on one side of the street there was McDonald’s, Wendy’s, Dairy Queen, Burger King, KFC, Pizza Hut, Macaroni Grill, Arby’s, Dunkin’ Donuts, Big Boy’s and Taco Bell. 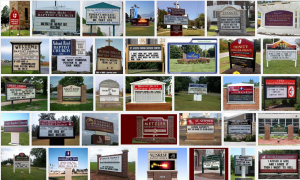 “On the other side of the street I saw church buildings: Presbyterian, Lutheran, Assemblies of God, Nazarene, Methodist, Reformed Baptist, Free Will Baptist, American Baptist, Southern Baptist, Missionary Baptist, Progressive Missionary Baptist and . . .
“We live in a consumer society and unhappily too many people choose a “church” along Main Street the same way their appetites and tastes dictate which fast food joint they go to. And just like people jump from one restaurant to another, many Christians jump from one church to another. It is often called “church hopping” from the pews, or “sheep stealing” from the pulpit.” . . .